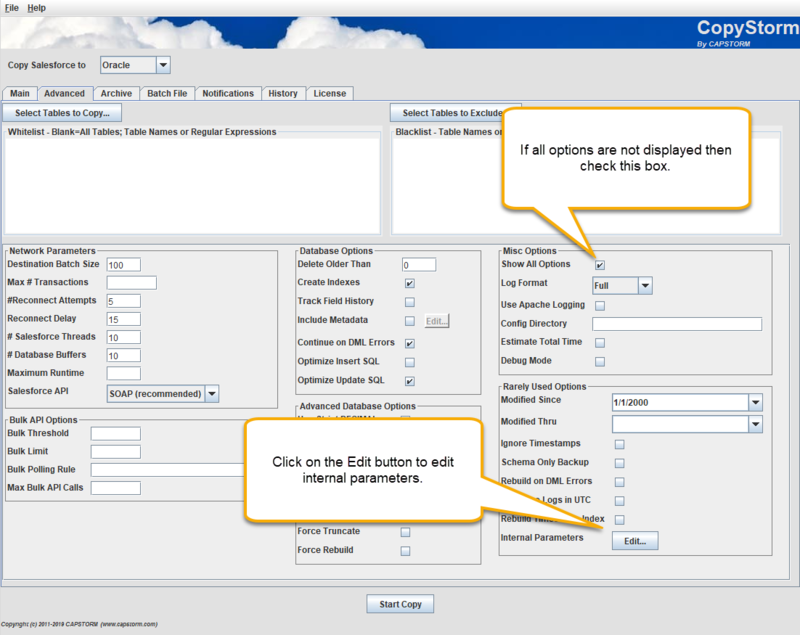 When CopyStorm adds a new column to an existing database table or indexes a new column the operation may have timeout issues if the table has a large number rows. This article describes how to solve this problem by increasing the amount of time CopyStorm will wait for a DDL operation to complete. 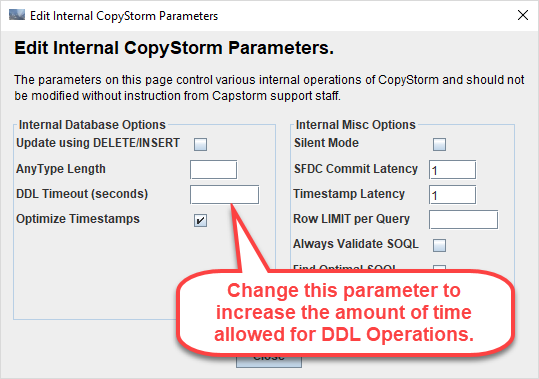 The parameter that controls how long CopyStorm will wait for an ALTER TABLE ADD/ALTER COLUMN, CREATE INDEX, or any other DDL type operation is hidden in the CopyStorm Internal Parameters dialog found in the Misc Options section on the Advanced Tab. The default DDL Timeout Parameter is 3600 seconds so set the value to a much larger value. CopyStorm will pick up the new DDL timeout value without a restart.